2018 BULB SALE - ARCHIVED! 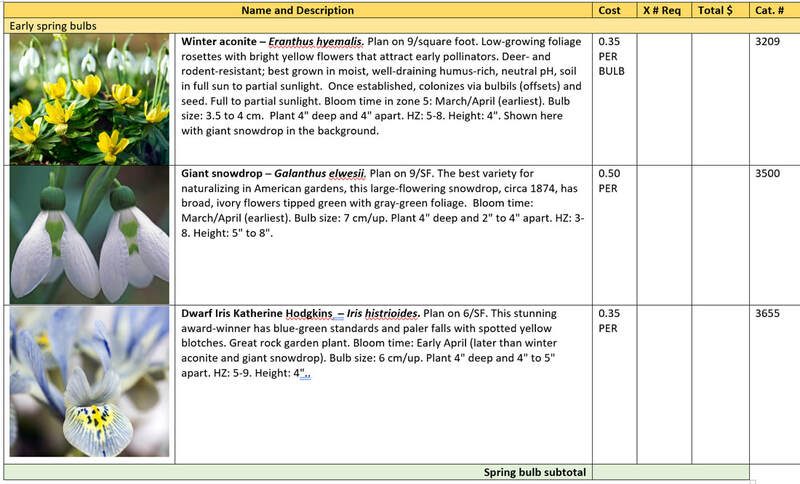 Featuring important early season bulbs to help you welcome spring. 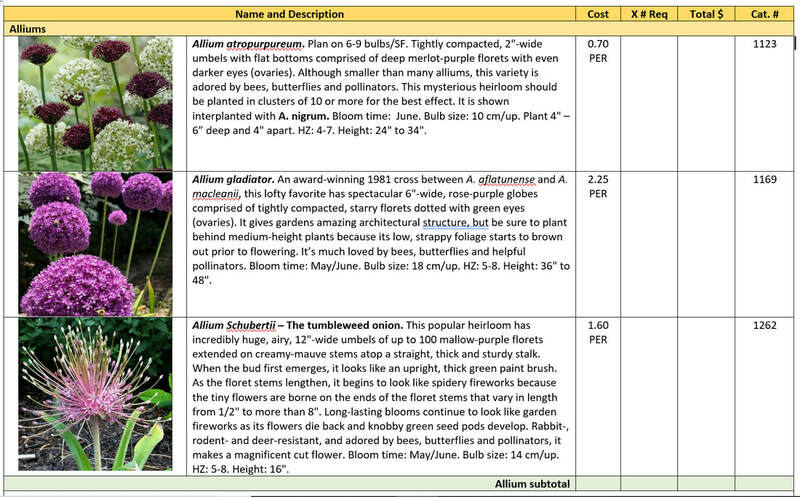 By request, we’ve added a few alliums to this year’s bulb sale. And, for convenience, you may custom order ANY bulb in the Van Engelen (VE) or John Scheepers catalog (https://www.vanengelen.com/ or https://www.johnscheepers.com) if you order exact quantities listed in the catalog. For instance, you and a friend might decide to split a $16 order of 100 crocus and avoid the $60 minimum order. 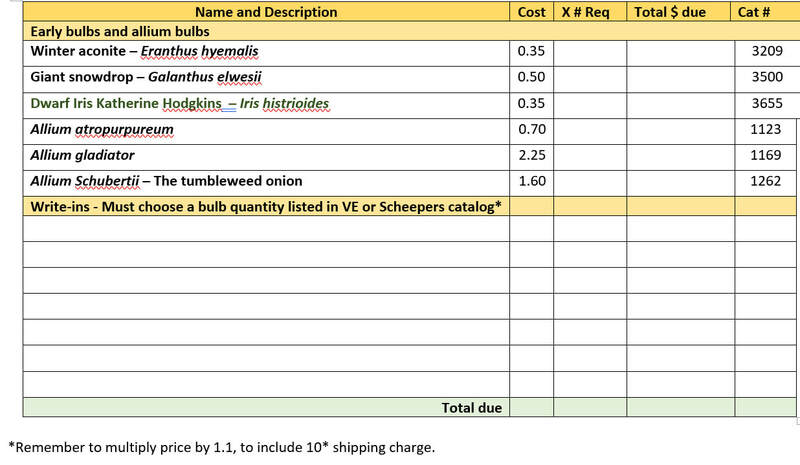 Per-bulb prices listed on our form below already include postage. Please add 10% postage to your custom orders for postage. Part I: CHOOSE BULBS. Bring your order form and check to CGC Pumpkins on Common, October 13, 10AM to 2 PM. Your order form and check are due Monday, October 1; pick up bulbs at CGC Pumpkins on Common, October 13, 10 AM to 2 PM.